SLRs+lenses up to 9" (18 cm) long (body+lens). "Single lens SLR style" zoom cameras up to 9" long (body+lens). Large digicams with wide angle or tele converter lenses attached. Made of Silnylon, a waterproof, ultralight, & tough high performance fabric. 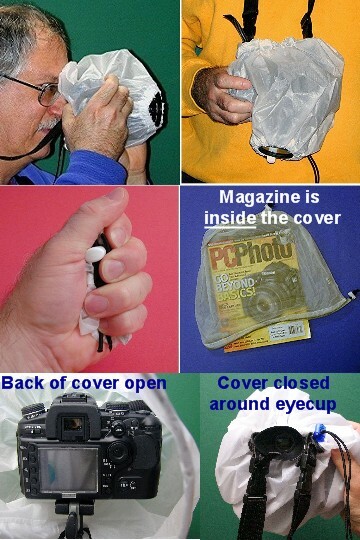 The camera's pop-up flash works thru the cover.